Lara Schiffbauer is a writer, licensed clinical social worker, mother of two, wife of one, and a stubborn optimist. She loves Star Wars, Lego people, science, everyday magic, and to laugh. You can connect with Lara through Twitter, Facebook, Goodreads, or on her website. 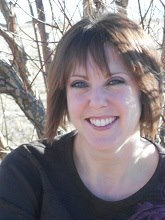 Her debut novel, Finding Meara, will be available in March, 2013. Welcome to Writerly Goodness, Lara! Thank you for taking the time to answer these few questions for my readers. 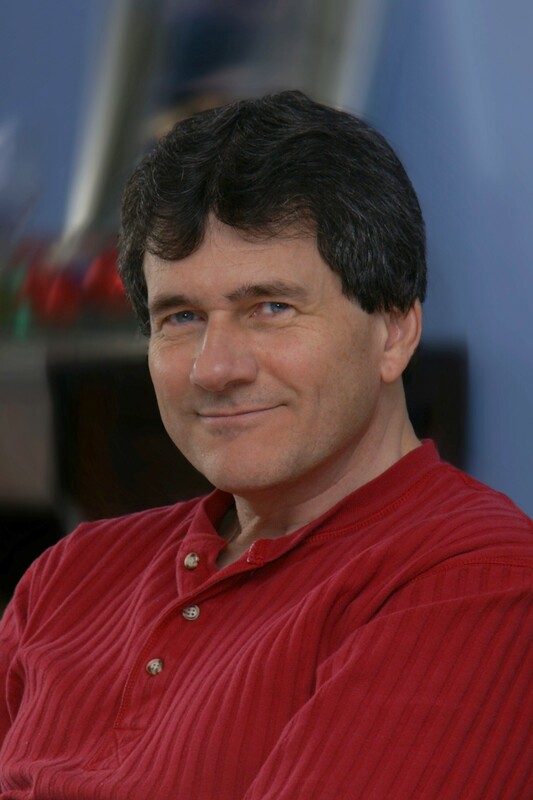 I have to say that since we met through Robert Lee Brewer’s April Platform Challenge last year that I’ve been following your progress with Finding Meara with rapt attention 🙂 As I approach the end of revisions on my own work in progress, the decisions you’ve made are informing my process and plans moving forward. WG: When did you begin to write and what was the moment you knew that writing was the path you wanted/needed to pursue? LAS: I’d like to first say think you so much for having me over today! The Platform Challenge was a wonderful opportunity to get to meet so many lovely writer-types—like you! I’m honored you find my path to publication informative and inspiring! I enjoyed writing my whole life, but I didn’t think about writing for other people’s enjoyment until five years ago. I hadn’t been creative in any way for about ten years, and wanted to regain the spark. My children were toddlers, and I work full-time, so a return to writing fit the best. Since I’m a goal-oriented kind of person, I decided to not just write, but write with the goal of getting it read by people other than my family. WG: What was the idea that became Finding Meara and how long have you been working on the novel? LAS: I’ve worked with children in a social worker/therapist role for over ten years. The seed for Finding Meara rose out of the need to have some justice for abused and mistreated children. The story evolved into an urban fantasy about a young woman who, in a case of mistaken identity, ends up in a magical world where she must rescue her newfound half-sister before their sadistic father can sacrifice either in his quest for immortality and unrestrained power. As her world is turned inside out, she is forced to put other’s needs before her own, and discovers herself in the process. I’ve been working on it for about two years. 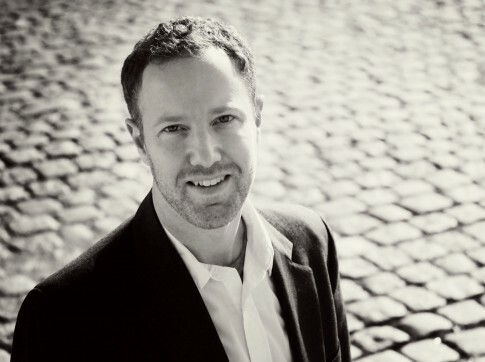 WG: I’m a process geek and I love to hear about how other writers approach their craft. Can you give us some insight in to how you do that thing you do 🙂 ? LAS: Lots of trial and error! I have learned that if I want to write with any speed, I have to know where the characters are going. 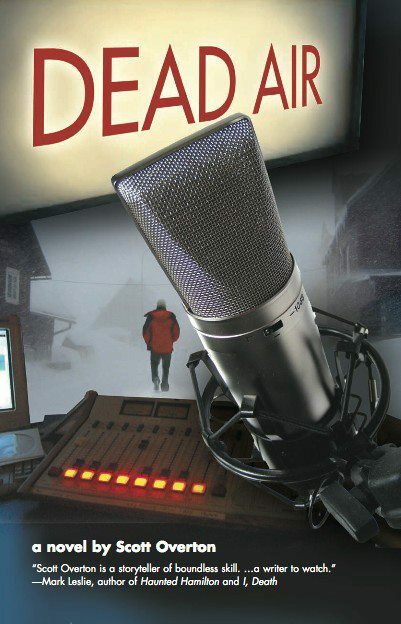 With Finding Meara, I’d plot out a few chapters at a time, which allowed flexibility as well. I started another book, Age of Stars, which I plotted out completely. By doing that, I realized that I didn’t like the story and will be re-plotting it, once I get the first draft of the next book in the Adven Realm adventures done. So, no pantsing for me, but any hybrid of outlining seems to work all right. WG: I remember that you tried the traditional publishing route. What was your experience with querying and why did you choose to self-publish? LAS: It didn’t take me long to change my mind. I pitched Finding Meara to Lou Anders of Pyr Books at the Pikes Peak Writer’s Conference in April 2012 and sent out eight-ish query letters over the summer, before deciding (around August 2012) that Finding Meara is a unique enough animal that traditional publishing probably wouldn’t want it. I love the story and want other people to have access to it, in case they might love it too, and so decided to self-publish. WG: What platform(s) did you choose and why? LAS: Interesting question! My platforms fall into two categories: those I have had and used for a while and those I’ve created due to releasing Finding Meara. I’ve been blogging for a little over two years, and use Facebook to connect to writer friends. I enjoy Pinterest personally, but do have some boards for the three books I’ve got going on it. I like Twitter, but lately I’m lucky to get on a couple of times a week. In January I created a Facebook Author Page, a Goodreads Author Page and my website, which has links to all my social media spots. 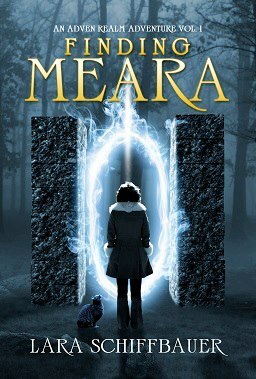 I just recently opened a Wattpad account because I am releasing two chapters of Finding Meara a week there until its release. I’m not one of those people who have created a social media empire, with hundreds of followers on any given platform. I do sincerely appreciate every person who has ever decided to follow along with my journey, and have been absolutely blessed by getting to meet and become friends with some amazing, supportive people. I’ll take those types of relationships over numbers any day! I chose to create a Facebook Author page because it provides an opportunity to interact with the international community. E-reader use in other countries is on the rise and I’m hoping through Facebook I’ll have a way to develop the writer/reader relationship. I opened a Goodreads page and a Wattpad page because they offer a way to interact with readers. So much social media seems to be directed toward other writers, and while writers read, there are tons of readers in the world who don’t go hang around the writer water-cooler. WG: Is there anything else that you’d like to share with regard to Finding Meara? LAS: As I mentioned above, I have a Finding Meara Sneak Peek going on at Wattpad leading up to the release. I wish I could give a firm date of release, but I’m still tweaking for an exact date. It will be in March, though, and if anyone wants up to date information regarding the release, I would encourage them to follow me on Facebook or my blog, as I will post the date as soon as I know. On release weekend, Finding Meara will cost a full $0.00, so if you like the story on Wattpad you will be able to finish it for free. There will also be a giveaway on Goodreads post-release. Thank you so much, Melanie, for offering me this opportunity to share my story! Lara, thank you for being so generous with your time and experience. If you have any questions for Lara, please write them in the comments, and as always, I encourage you to like, share, comment, and follow (the blog equivalent of the writer’s think, do, create, be!). So here we are in week two of We Grow Media’s Build Your Author Platform course. Week one was about developing focus, and I think I did pretty well. As I mentioned a few weeks ago in my post about Michael Hyatt’s Life Plan document, I’ve done a lot of thinking about my life and what I want out of it. It wasn’t difficult for me to put into words my plans for my creative life. This week, it’s going to be a little more challenging. I have to figure out my writerly identity and brand. I know what I’ve said about myself on this blog and elsewhere, but this week’s assignment will have me digging deeper. I have this morbid image floating about in my head … See, a garden spade is pretty sharp, and I can imagine that digging into my tender heart and mind being a bit painful. One benefit is that my name is pretty unique, and since I’ve bought my domain and all my SoMe is in my name, my blog, Twitter, Facebook account, LinkedIn account, etc. appear at the top of the results in most search engines. And if my blog isn’t up there, then one of my poetry books, NEOVerse is. So that’s a win. I’ll have to let you know how the branding exercises go. I’m not a tooter of my own horn. It makes me squirm, actually. Hence the painfully-sharp-spade-phobia. Other people in my work environment likely see me as fairly extroverted because I am very outspoken and I address individuals and groups quite confidently when sharing the expertise that I have accumulated in recent years. I do a lot of online coaching and desktop sharing with collaborative technology but it’s usually one-on-one now. I can only sustain the energy required for the group stuff once in awhile and with considerable advance preparation. 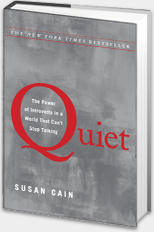 She also recommends Susan Cain’s Quiet: The Power of Introverts in a World that Can’t Stop Talking. It’s on my reading list. 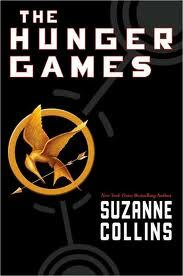 Last month, I finished Suzanne Collins’s The Hunger Games. I’d had the trilogy since last year when I saw the movie with a couple of friends who had both read the whole series and loved it. More recently, I was urged to take the plunge for two more reasons: 1) my mom had just read the series and also loved it, and 2) Larry Brooks’s eleven-part analysis of the first book on his Storyfix blog (more on that in a moment). I too, loved the book. Having seen the movie, read Brooks’s analysis, and a few other reviews/articles on the novel, I was well aware of the plot and events of the novel. But spoilers never spoil a book for me. When I know the major plot points, I only enjoy the book more. I read to improve my craft. Collins’s prose is clean, her POV engaging, and her craft extraordinary. Damned. Good. Book. 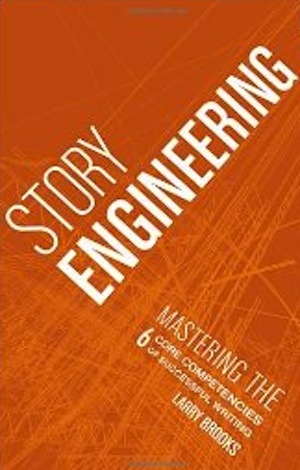 Brooks’s analysis of the book also lead me to read his: Story Engineering. I did get a lot out of his book, but it was despite the author’s ethos. Brooks comes on a little strong for my liking, and I truly resent having anyone shake a virtual finger at me. 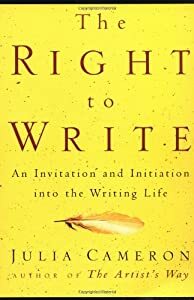 For more of my thoughts on this writing craft book, please check out my review on Goodreads. Ethos, for those who may not know, is the author’s personality as it comes through in print. My undergrad was in rhetoric, so I’m pretty adept at reading past ethos. It’s a good thing too, because Brooks does have some great information to share and I have already implemented some of his lessons. I do get it. I’m just not fond of how Brooks got his message out. Currently, I’m reading Diana Gabaldon’s The Scottish Prisoner, which I’m enjoying quite a bit (though not as much as the main novels in the Outlander series), and A Medieval Miscellany. Will let you know how all of that goes.